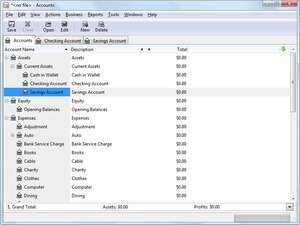 GnuCash Portable is a fully featured application which helps manage personal finances. As a portable application, there is no need to install this application. It can be run from virtually anywhere including portable USB memory sticks and memory cards. The overall interface of GnuCash Portable isn't too difficult to understand for anybody who has used tables and spreadsheets before. For security reasons, you should also check out the GNUCash Portable download at LO4D.com which includes virus and malware tests. Additional screenshots of this application download may be available, too. GNUCash Portable download been highly rated by our users.